Hey Happy Thanksgiving! I could ask you what you are doing online reading my blog when you should be basking in the love with your family and friends but.... hey, I'm here too, right? If you will be continuing the tradition of avoiding family members, the day after, by going shopping, I encourage you to practice your avoidance at my store, Wingdoodle. We will probably be closing the store. We will definitely be closing it, as of Christmas, for the rest of the winter. We may re-open in the spring, but if we do, some things will have to be different. Either way, we have to clear out all the stock - which means awesome deals to be had for Holiday Shoppers! Check out the Wingdoodle blog for more info. A couple of other things... the Tangle Cruise did not get enough advance sign-ups, although there WAS quite a bit of interest! So that is being put on a back burner for an option in the future. I got an awful lot of emails from people saying what fun that would be, but it is too expensive right now, or too far away, or a bunch of other things. Many claimed that if it were closer and cheaper they would LOVE to do a retreat with me. We'll see about that! I am working on a retreat in Ogunquit, Maine for early spring and maybe another there for early fall. I'll let you know more details as I know them, but the spring one will be March 2 through 4. Just a reminder that the early registration discount is good until November 15th! 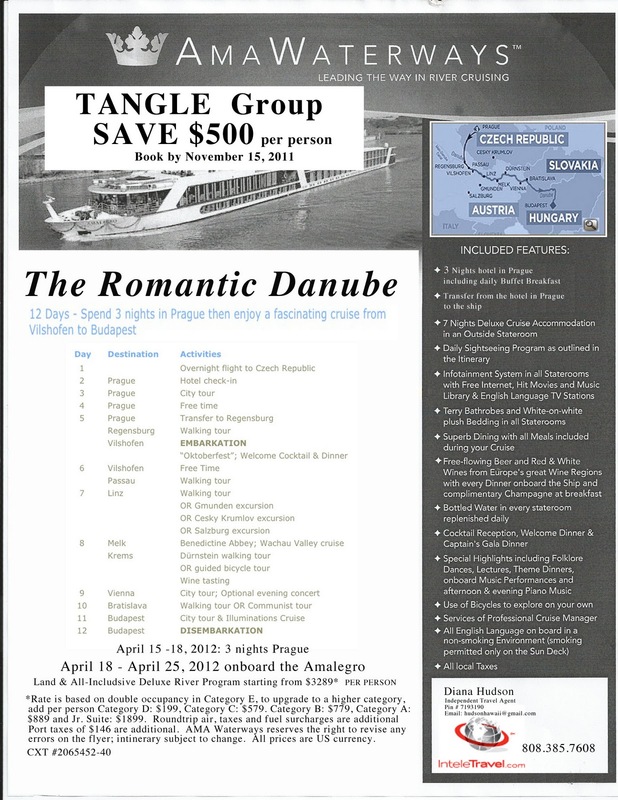 If you are planning to come on the Tangled Cruise on the Danube and would like to save $500 off the price, then be sure to email Diana Hudson at this VERY moment. 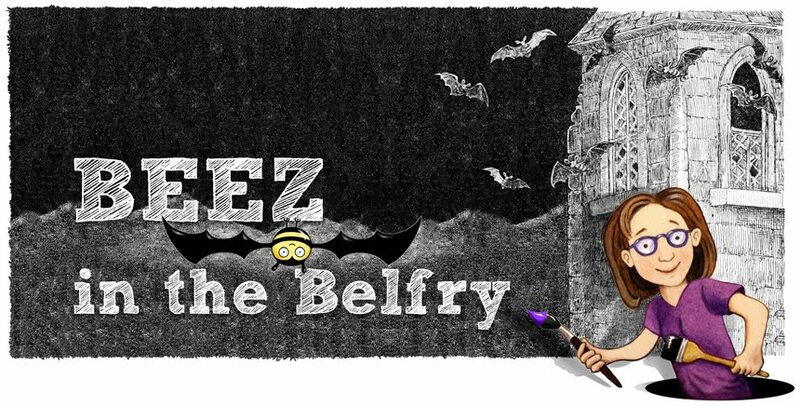 Click HERE to see the original post with all the pictures, maps and witty descriptions. 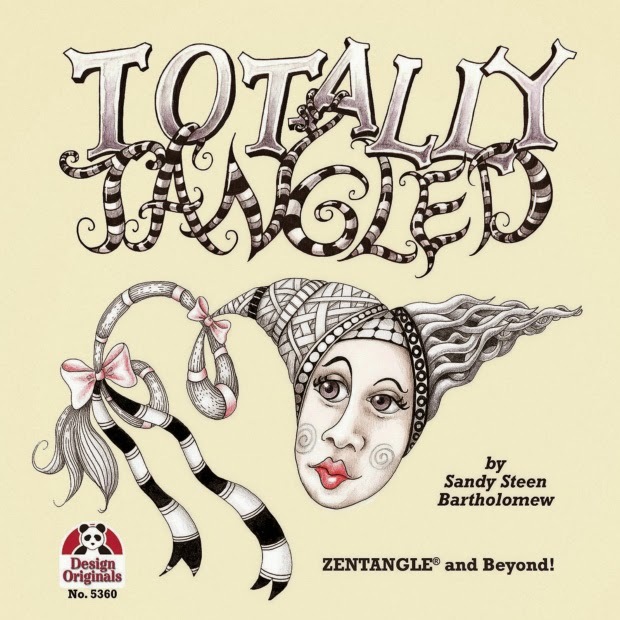 This was inspired from the book I bought entitled "Totally Tangled" by Sandy Steen Bartholomew. I was trying out some of the tangle patterns in her book and this is what I came up with. I decided to add some colour to give it some pizzaz. Tangling is so much fun. Why don't you give it a try! My publisher, Fox Chapel, asked if I could help out by posting this press release. If you all could re-post it and tweet the link, etc. that would be great. Thanks everyone. (Lancaster, PA) - In September 2011, Tropical Storm Lee caused local streams, creeks and river water to rise in Lancaster County, Pennsylvania to record highs, and caused hundreds of thousands of dollars in flood-related damage to resident homes. Shannon Flowers, a long-time Fox Chapel Publishing employee and Editor of Woodcarving Illustrated and Scroll Saw Woodworking & Crafts magazines, had to flee her home as flood waters rose up through the basement and crawled 3 feet high on the main level. Her family lost everything on those 2 floors, and are now in the long process of renovating and recovering a sense of normalcy in their lives. Fox Chapel Publishing and Design Originals, a new imprint of Fox Chapel, would like to help this dedicated team member by holding a special Grab-Bag Benefit. One hundred percent of the proceeds raised will go directly to Shannon Flowers and to the local fire department in Mount Joy, PA that helped so many people during the flooding. Grab bags will be sold for $10 each, plus shipping, and will include at least $40 worth of books. Grab bags can be purchased in several categories: Woodworking, Quilting/Sewing, Home Décor Crafts, Kids & Teens, Paper Crafts & Scrapbooking, Digi-Scrappin, and Beadwork & Jewelry. The Grab Bags will be available until November 14, 2011 or while supplies last. Fox Chapel Publishing is a leading publisher of woodworking, craft, do-it-yourself and hobbyist books and magazines, located in East Petersburg, Pennsylvania. Fox Chapel acquired Design Originals, a leader in craft books, in 2011, and continues to publish new fiber craft, jewelry-making and paper craft titles under the Design Originals imprint. No kidding!! I'm going to teach on a cruise on the Danube! Want to come too? 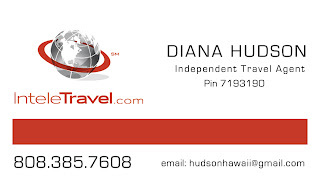 I spoke with you at the last CZT conference about putting together a ... TANGLE group cruise, ... time is running out on the special $500 discount, which ends November 15, after that it would only be a 5% discount. Also the cabin upgrades at this time are 50% off. The cruise time is actually April 18-25th with an option of a 3 day pre-cruise stay in Prague. This is a wonderful opportunity for a group of like minded people getting together for a week of travel, fun and education. 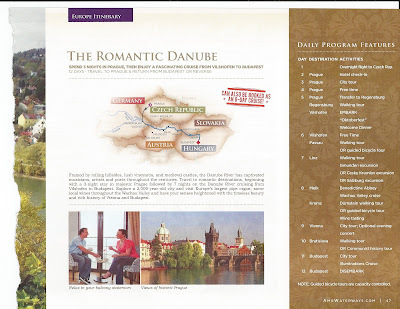 The Danube River Cruise with AMAWaterways is very special and because it is a river you don't have the rocking of the ship and therefore would be ideal for Tangling on board. ... a day of touring the countryside, finding all kinds of inspiration with the OLD WORLD architecture. I know it would be a wonderful adventure for all. This is the website for AMA Waterways. I actually have done this cruise and it is wonderful. The beds can be configured with one bed or two. OHH, writing this is bringing back the feeling of getting in to the wonderful plush bedding. It was delightful. I actually booked a single for myself when I went and it was really nice, but would have been just as comfortable with sharing if I had someone that I really liked. :) I was in a Category C Cabin and it was perfect so I would personally recommend that category or A &B. Those cabins have the sliding patio like door that you can leave open and get that wonderful fresh air. What, exactly, we will be doing for the program will be determined once I know how many people are signing up and their tangling level and passions. In other words, I will customize it for you! There is a limited amount of space where a class can be held (I think holds 20 people?) - so be sure to mention, when you sign up, if you want to be part of the Tangle program. Yell, "First dibs" or some such thing. There is still plenty of time to decide how we want to play. First, we need to know who is coming! Remember, Nov. 15th is the deadline for the discounts. (You can still sign up after that, if there is space). OK, I'm thinking about bringing my son, Alex. This 14 year old star of Zentangle for Kidz! is actually a real boy! (Eat your heart out Pinocchio!) Not only is he a Zentangle addict, but he also knows everything about geography and is very handy to have around when your ignorance is showing. Whispered discreetly in my ear: "It's not Czechoslovakia any more, mom." But, seriously, he knows a lot, never talks down to me, and always draws me a sketch when there is too much text for me to digest in one sitting. He also knows a lot about music - plays the saxophone and a gazillion other things, composes, dances, acts... oh, and knows how to fly a plane. OK, OK, smaller planes, but I still find it comforting to have him sit near me on the airplane.... just in case. So if you have a cool teenager, bring them along too. And be sure to re-post and pass this on to your friends - let's tangle across the ocean!